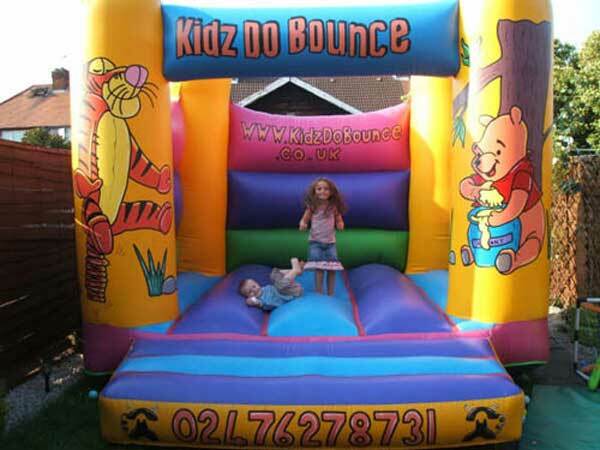 Need bouncy castles for your promotion maybe a corporate event. We have no cancellation fee and no deposit is required on private bookings. 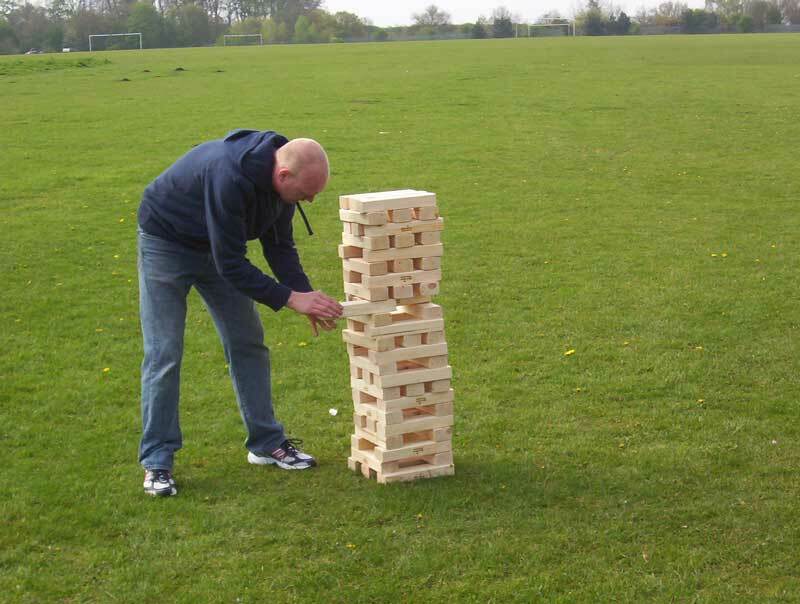 We can operate at locations throughout the UK for corporate events. 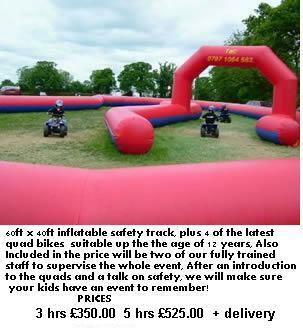 Why not try our new kids Quad bikes and (60ft x 40ft) inflatable quad bike track these are great fun for children from the ages of 6 years to 12 years but also good fun to watch from the side ,The quads have 50cc petrol engines and are relatively simple to use. The track is enclosed in a huge inflatable barrier, which will stop even the fastest of quads should they go out of control although the speed can be limited to 3mph. This item is manned by 2 trained staff, who will give instruction to all those using it to make sure that it is enjoyed in as safe an environment as possible. 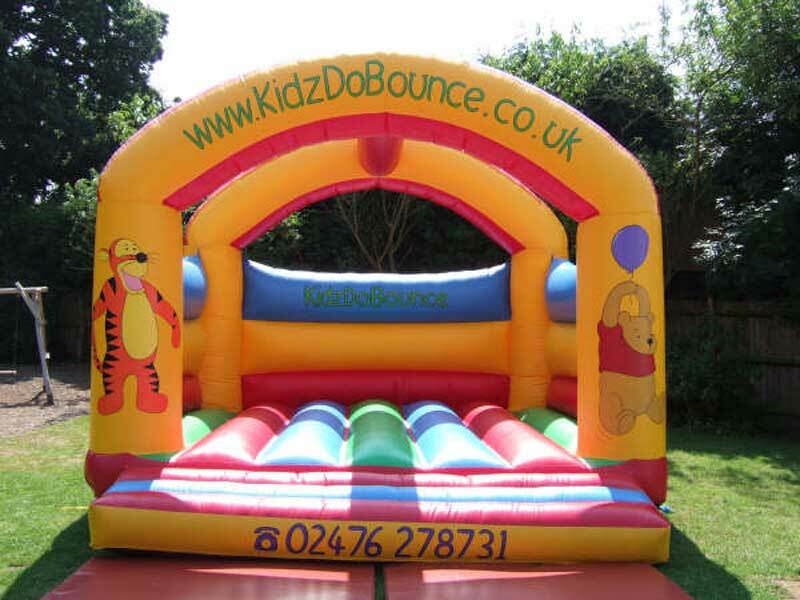 Thinking of hiring a bouncy castle, If there are children involved you cant go wrong. 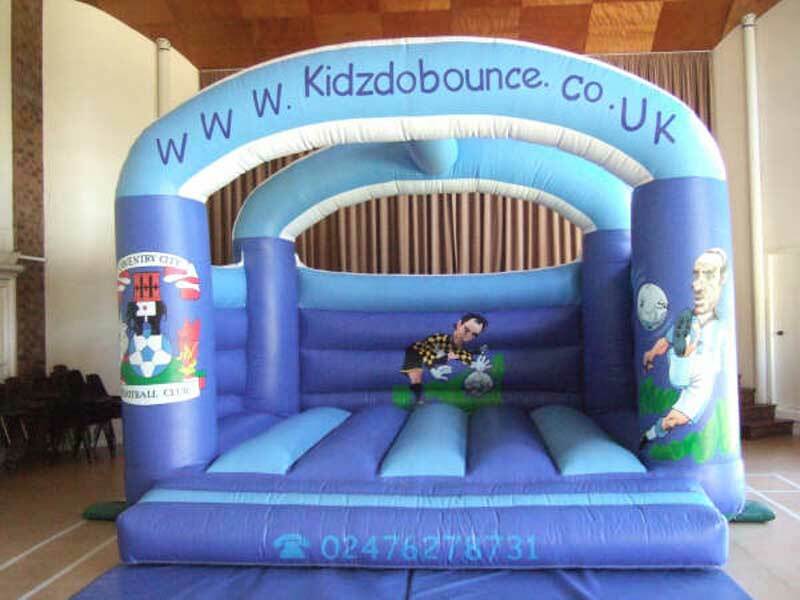 They are ideal for all occasions, children's parties, garden parties, birthdays, celebrations, family get together. 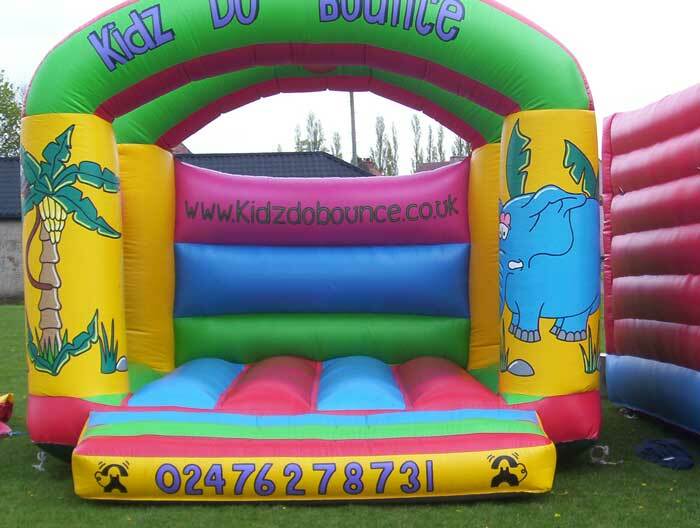 You don't need a reason to have a good time, get a bouncy castle have some fun, the kids will Love it! 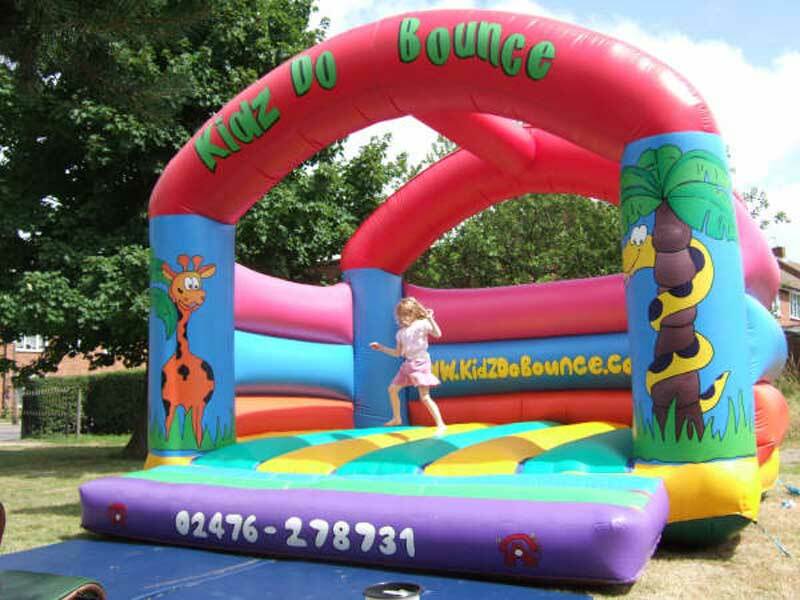 ......our bouncy castle hire prices start at £45.00 per day, (see the price list) there's no limit to the number of times you bounce, you decide when the fun starts, when it ends, how long it lasts, if the kids have their way the bouncy castle wont be going home at the end of the day :) people agree for the fun factor, enjoyment and especially your children's entertainment, you cant beat a bouncy castle, even more so when its one supplied by kidzDoBounce. 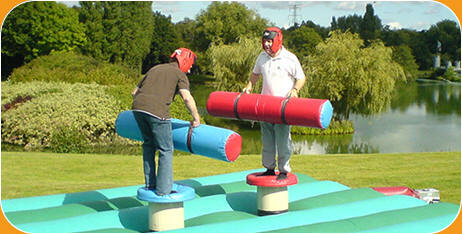 We also have sumo wrestling suits available along with the gladiator duel, and the bouncy boxing are you ready to rumble. Competitors battle it out trying to force their opponent off the mat in the sumo suits or use the big sticks to knock their opponent of his\her podium on the gladiator dual, all highly entertaining fun. 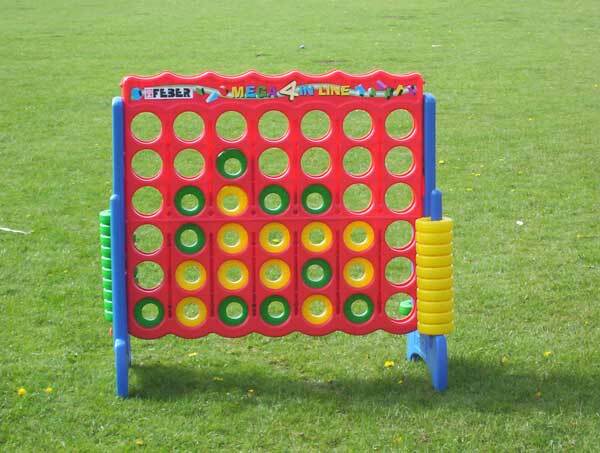 These are great fun for adults and children alike, although the gladiator duel is recommended for older children and adults. Each wrestling suit set comes with 2 sumo suits, 2 helmets and a large mat. 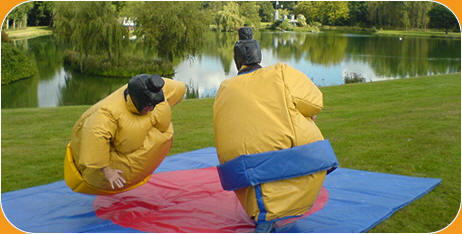 Adult Sumo Suits from £110 per day. 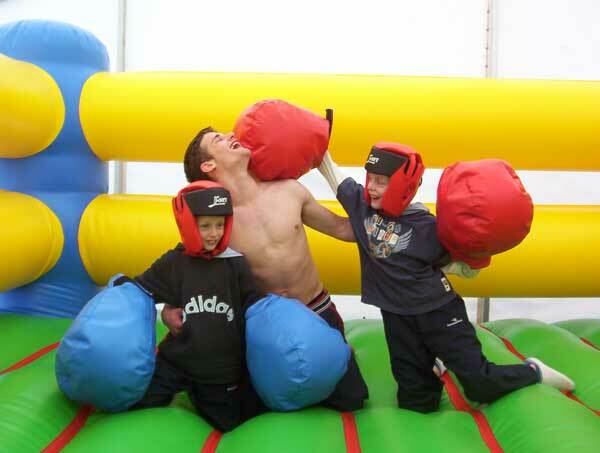 Gladiator Duel from £110 per day. 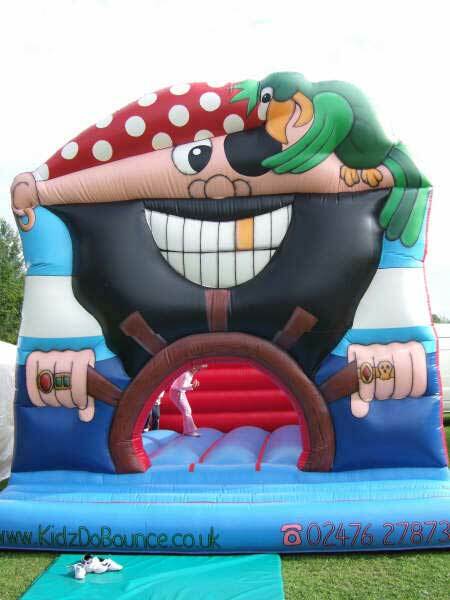 Need inflatables for your promotion maybe a corporate event or glossy brochure advert, we have castles available with no artwork or phone no's or any kind of advertising. Hopefully most of the local viewers to this website will have heard of the Warwickshire Air Ambulance, this is being run by donations and funds raised through fetes, fairs and a whole host of organised events. 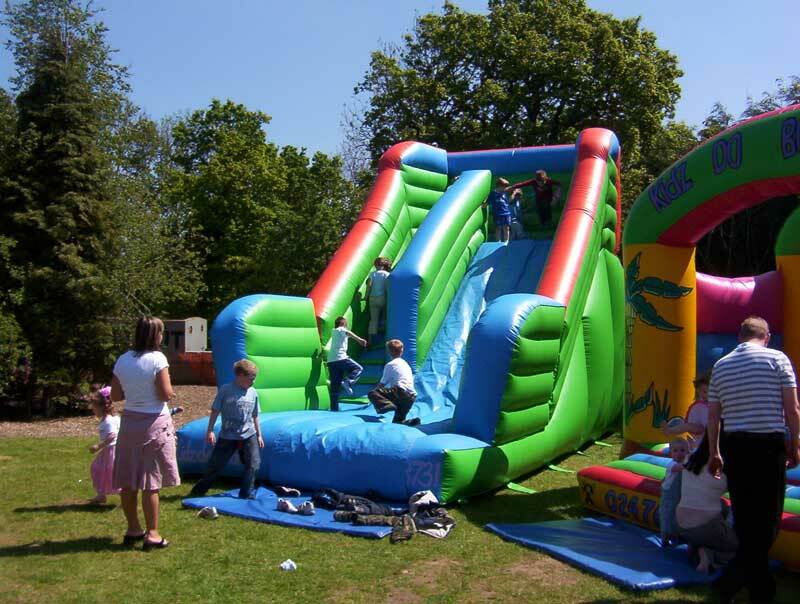 Needing about £1m per year to keep the helicopter in the sky, We have decided to do our little bit to help, we are giving one free bouncy castle a week for schools to use for fundraising, the only condition is that half of the funds raised go to the Warwickshire Air Ambulance. The following is a quote from the BBC News website. "You never know who's going to need it or when you're going to need it." The air ambulance service relies solely on public donations and corporate sponsorship and costs £1m a year to operate. The Augusta A109 E Power helicopter is the fastest in its class with a cruising speed of 180mph. Based at Coventry airport, it can reach anywhere in Warwickshire within eight minutes and anywhere in Northamptonshire within 12 minutes. There is also another news report from the BBC here. Perfect for all the young Coventry City fans out there. 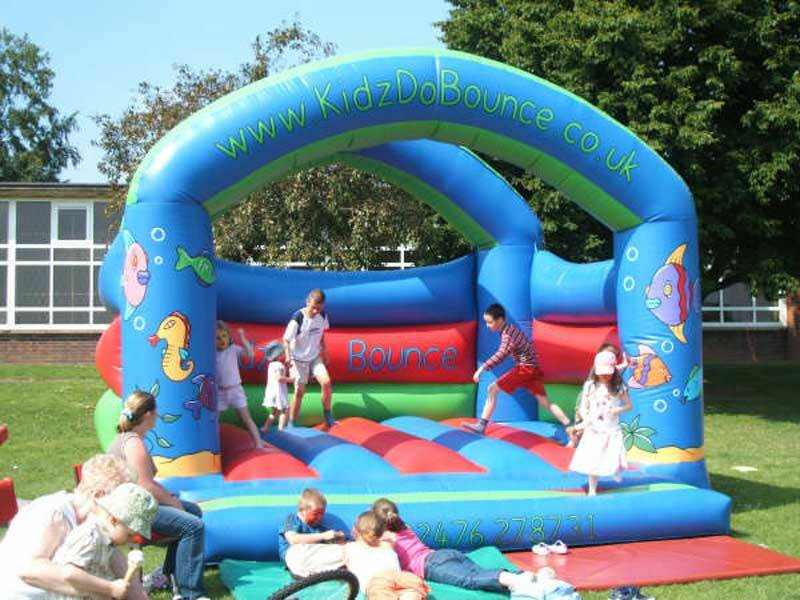 Be sure to check out the bouncy castle colouring competition with the chance to win a bouncy castle for the day, two runners up get a large discount on castle hire, all entries will receive a £5 discount on castle hire, as well as all returned pictures put up on the website. Good Luck All. Kidz Do Bounce, we know they do, we've seen them, don't believe us, then check out the Kidz Do Bounce link, there's a few pictures (currently not many but we have loads on the way) of some cold but happy children, it looks like Paige and Mathew have really cracked the Spiderman thing, Paige looks like she is stuck to the bouncy castle wall! We have no cancellation fee and no deposit is required to make a booking. We try to deliver before 12pm and start collecting from 5pm, collections will be decided on a first in first out basis unless other arrangements have been made. We deliver, set up, and collect. We also offer free delivery within a 5 mile radius of Coventry. 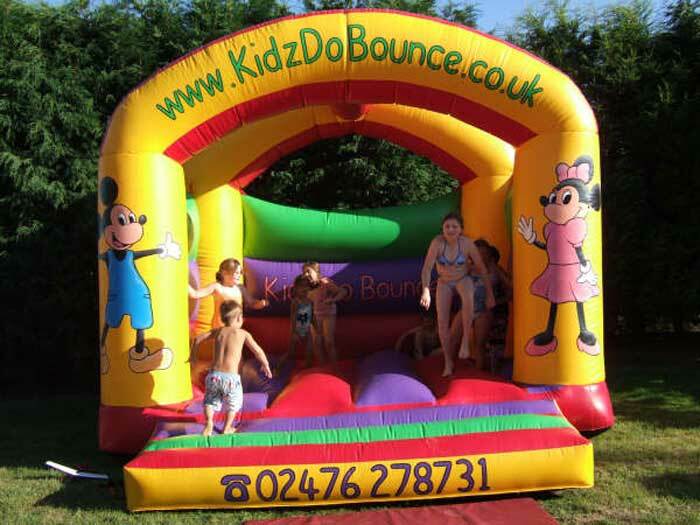 Call us on 024 76278731 to place a booking, don't forget summer is coming, be sure to book your bouncy castle early to avoid disappointment. Not sure about searching, be specific to the point, narrow your search down to the most important points e.g. 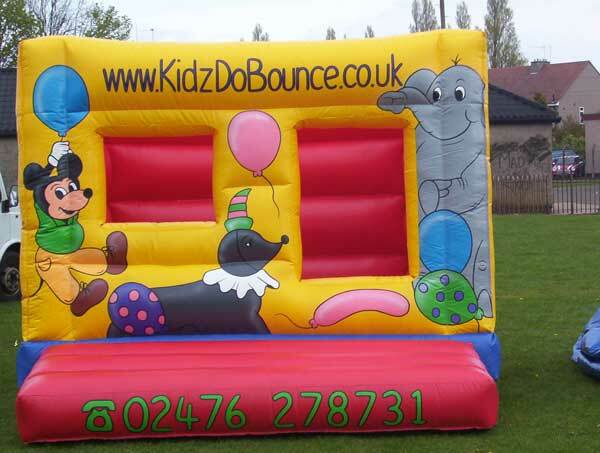 I want to hire a bouncy castle in Coventry, then try :- bouncy castle hire Coventry, whatever you are searching for, especially a service, the more specific your search is, the more likely you will find what you want!